Mazie Hirono speaking at “No Muslim Ban Ever” in front of the Supreme Court in Washington, D.C. I had the misfortune of having been born in the USSR less than twenty years after the end of WWII and before my parents of blessed memory managed to yank me out of there to Israel I attended two grades of elementary school in Kiev, today the capital of Ukraine. A favorite motif of the daily anti-Semitic attacks I was subjected to at school by students and teachers alike was the accusation that my grandfathers, “like all Jews”, sat out the war and didn’t go to the front to fight. As a matter of fact, both my paternal grandfather Shimon and my maternal grandfather Baruch were soldiers in the Red Army tank and mechanized infantry corps, respectively, and both were killed in action, never to be brought to proper burial. Hollywood made a good movie about the Battle of Stalingrad, called “Enemy at the Gates”, starring Jude Law as the famous real-life Russian sniper Vasyli Zaitsev. The movie plays to a certain stereotype, because the counterpoint to the reluctant, but sublimely talented Siberian fighter Zaitsev, is the very Jewish commissar Danilov, played by the not-at-all Jewish Ralph Fiennes. The pair’s common love interest, the bookish and also very Jewish Tanya Chernova, is played by the well-known British actress of Jewish Hungarian descent, Rachel Weisz. The stereotypes portrayed in this movie are many, and I have yet to touch on the German side, but substantially they are as follows: Zaitsev is the quintessential Russian; almost illiterate, inarticulate to the point of near dumbness, he is kind hearted, fully possessed of the expansive “Russian soul”, and slow to anger. But when he DOES get angry, well, let’s just say you do not want to be the subject of his attention. Not in the least. Zaitsev, in summary, is the Siberian peasant version of the medieval knight in shining armor, un chevalier sans peur et sans reproche. 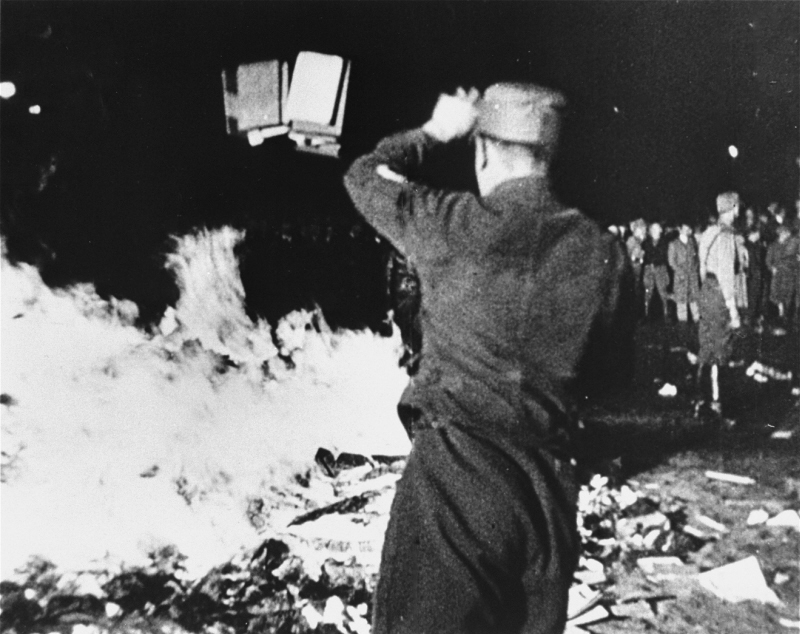 A member of the SA throws confiscated books into the bonfire during the public burning of “un-German” books on the Opernplatz in Berlin. In contrast to Zaitsev’s 20/20 vision and ability to thread a needle at a thousand yards with his Mosin-Nagant sniper rifle, the Jew Danilov can hardly see the tip of his nose through his quarter-inch eyeglass lenses. Danilov can no more shoot a rifle than Zaitsev could recite Shema Israel, but he sure can talk. And write, and debate, and above all, he is an absolute master in what today would be called ideation. He generates ideas quicker than Zaitsev can cycle the bolt action on his rifle and one of these ideas saves his and everyone else’s behind when Khrushchev, the commander in chief of the Southern Front, comes to find out why a city named after the invincible Sun of Nations Joseph Stalin is one city block away from falling to the Nazis. Danilov suggests that what the troops need is a hero, someone who sticks it to the enemy every day, someone who they all can identify with, someone who would give them the one thing worth fighting for: hope for victory. And of course, he knows just the guy. So Danilov becomes the brains, Zaitsev the muscle; Danilov the impresario, Zaitsev the performer. It does ring true, doesn’t it? Thousands of miles away, in Hollywood, California, at the exact same time, behind every all-American movie star like Ginger Rodgers, there was the Jewish promoter, agent, studio mogul. These Hollywood Jews with their Malibu mansions and black Cadillacs were only one or two generations removed from the same Ukrainian stetl where Danilov was born and if they could ever meet in some parallel universe, they would converse in their common mame lushn (mother tongue), Yiddish. But what about my grandfathers? How come they weren’t commissars? Why did they have to fight and die just like the Gentiles? Weren’t they just as Jewish as the fictional Comrade Danilov? My recent 23 and me test tells me that I am 99.7% Ashkenazi Jewish, so my grandfathers must have had a full complement of chosen people genes. No, the answer lies elsewhere. Stereotypes share an important characteristic with the statistical concept of the mean (average) value. Imagine that in preparation for a trip to Holland you look up the average height of a Dutch male and find it to be six feet exactly. Waiting for your Dutch host to arrive for your very important business meeting, would you bet the outcome of the meeting on your host being six feet tall, give or take an inch? My guess is that you wouldn’t, and rightly so. The average, also called, the expected value, is just that; something you can expect with a reasonably high level of likelihood. You may be somewhat surprised if your host proved to be five foot five, but not nearly as much as you would be if he showed up, all six feet of him, wearing a two-piece bikini. To put it plainly, both stereotypes and averages contain truths about LARGE SAMPLES OF PEOPLE. They have NOTHING to say, however, about any single individual belonging to that sample. On average, Jews in Russia were better educated than the Gentiles. Not my grandfathers. They were, in fact, poor and poorly educated. In aggregate, Jews in America comport with the stereotype of being doctors and lawyers because the percentage of Jewish doctors and lawyers in America far exceeds their fraction of the US population. If someone recommends to you a dentist named Cohen, you would hardly be surprised, would you? If the plumber you call in the middle of the night to fix that leaking faucet gives you a business card that reads Moshe Goldman, you may be a tad amused, especially if you don’t live in Brighton Beach. But only just. 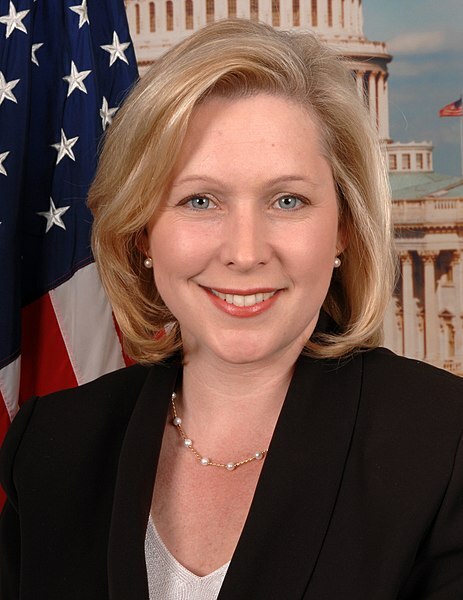 Ah, but if you are a bigot like Senator Kirsten Gillibrand, your answer is an emphatic “YES!! !” To the senator and her cohort of rank bigots in the so-called “Democratic” Party, Brett Kavanaugh is guilty of whatever any woman, ANY WOMAN, accuses him of, simply because of the racial, sexual, and socio-economic group that he belongs to. Brett Kavanaugh the individual is utterly transparent to the Gillibrands, the Schumers, and the Hironos of this world. Just like Hitler convinced a large majority of Germans that Jews as individuals did not exist, that their actual Jewish neighbor, employee, boss, friend, were of no consequence, that the only thing that mattered was that Jews were over-represented among the “treasonous” German intelligentsia, among the “corrupt” German bankers, and that thus it was they, the Jews, that caused Germany its humiliating defeat in the First World War, and that because of that ALL Jewish individuals were, to use the recent Demo-Nazi coinage “COMPLICIT” in Germany’s downfall, and thus ALL Jews had to be exterminated. Hawaii senator Maisie Hirono recently ordered all American men to “shut up” and “do the right thing.” Whether she meant self-castration or suicide, we may never know. To her, the consummate bigot, not only all “privileged white men”, but all males, seeing as they constitute the arch-group from which all sexual molesters of women come from, are guilty of sexually molesting any and all women who wish to claim the status of sexual victimhood. In Hirono’s universe, just like in Hitler’s Germany, the classes of both victims and perpetrators are expanded to the max. All (ethnic) Germans are victims of Jewish treachery. All Jews (German citizens or not) are guilty of treason against Germany. All women are victims. All (straight?) men are rapists. The US constitution, in its Equal Protection Clause and elsewhere, specifically prohibits the unequal treatment of individuals based on any group (ethnic, religious, sexual, etc.) they may belong to. The presumption of innocence relies on this principle. 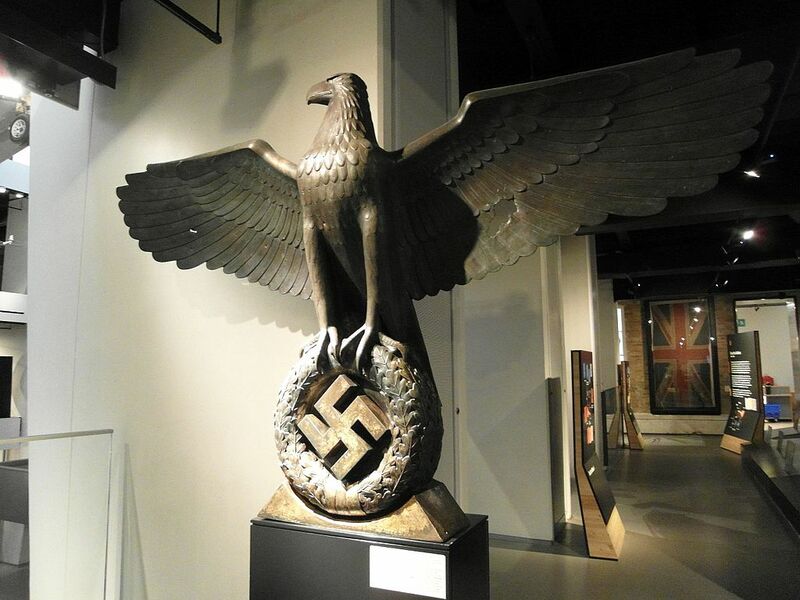 Even if you were an ethnic German of military age during WWII, even if you belonged to the SS or the Gestapo, you can only be tried for what YOU as individual did and you are presumed innocent of any crime until proven guilty of it, as an individual, in a court of law. In this as in all else, the Constitution is the antithesis to bigotry, fascism, and Nazism. 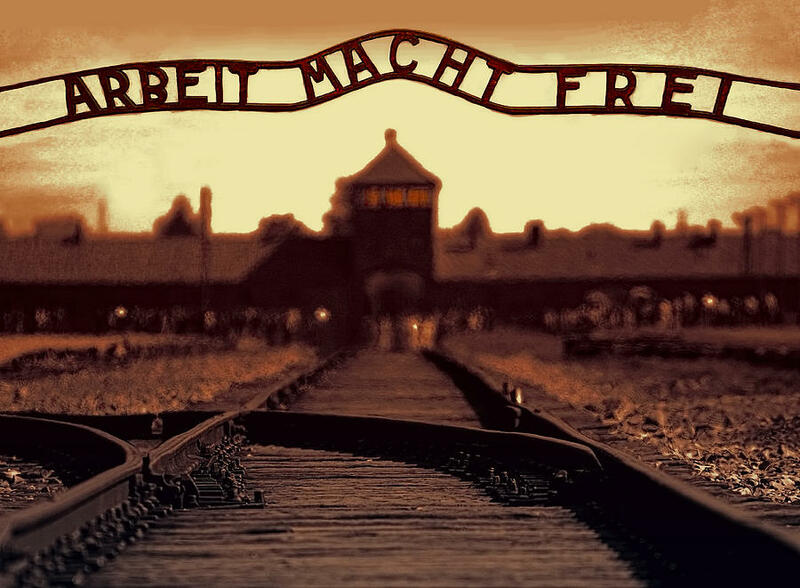 Today’s Democratic Party, in openly rejecting, by its senior leadership, the concept of the presumption of innocence, by embracing so completely the idea of guilt by association, has transformed itself, quite literally into a Nazi party. Recent history in Germany, the Soviet Union, China, Cambodia, and other places around the globe has shown us that Nazis do not kid around. When they come to power, they do their utmost to physically exterminate the classes of people they judge to be guilty of crimes, be they Jews, the bourgeoisie, land-owning peasantry, or the intelligentsia. There is no reason to assume that the new American Nazis, the Democratic Party will be any different. 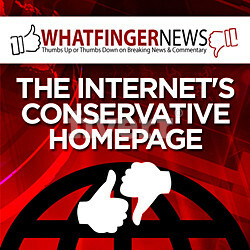 The appalling character assassination of Judge Kavanaugh, the threats towards his wife and young daughters, the increasing violence by the Orwellian-named Antifa shock troops towards our elective representatives, violence that goes not only unpunished by lawful authorities, but not even resisted by regular Americans in most cases, points to the contrary. 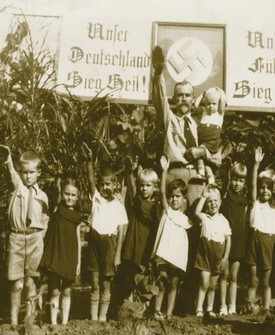 The Democratic Party today exhibits all of the characteristics of the National Socialists in Germany in the late 1920’s through their ascent to power in 1933: the same mob incitement, the same open hostility to age-old institutions, the same willingness to throw out the window every rule of dignity and decorum, the same disregard for the rule of law and basic human dignity. In her excellent book “The March of Folly”, the late American historian Barbara Tuchman, provided examples of nations acting against their self-interest, even when an alternative course of action was clearly available and well-articulated. The archetypical example of this is the story of the Trojan Horse, which the Trojans brought inside their city walls in spite of vocal objections by Laocoon and his sons and for no reason other than curiosity and greed. Today’s Democratic Party is the Trojan Horse through which not socialism, but full-blown Nazism is being brought into the walls drawn around America by her Constitution, walls that have stood firm against all foes, foreign and domestic, for nearly a quarter of a millennium. Let us all be Laocoons! Let us proclaim the dangers of the Nazification of the Democratic Party from our town squares, virtual or otherwise. We may be consumed by serpents, but let it not be said about us that we put up no fight.